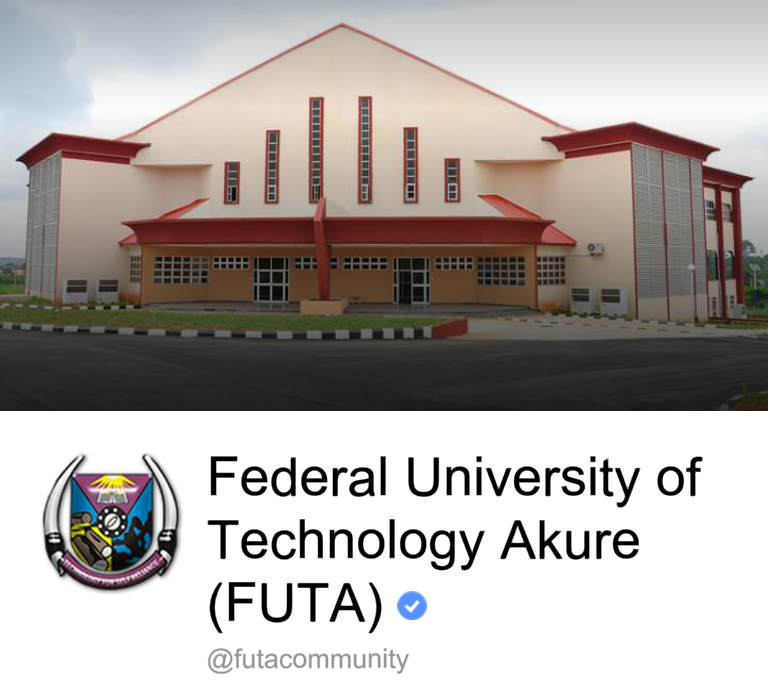 FUTA CRISIS: Alleged Reasons Why Staffs want VC. Daramola out. For several weeks, the crisis that has engulfed the Federal University of Technology, Akure, has defied solution. HAKEEM GBADAMOSI traces the genesis of the crisis in this report. For over a month, activities had been at standstill at the Federal University of Technology, Akure (FUTA) with the non-academic staff of the university demanding for the removal of the vice chancellor of the institution, Professor Adebiyi Daramola, over some issues that the management and the three unions in the institution had failed to reach a compromise. The cold war between both sides lasted until early October when men of the anti-graft agency, the Economic and Financial Crimes Commission (EFCC) invited Professor Daramola to its Ibadan, Oyo State, office over an allegation of fraud and mismanagement of the institution’s fund. Daramola was not alone during his visit to the EFCC. He was accompanied by the institution’s Bursar, Emmanuel Oresegun, who was also mentioned in the petition along with the vice chancellor. In the petition, the VC allegedly received furniture allowance annually, as opposed to once every four years approved by the Senate, while he was also accused of paying himself housing allowance while living in the VC’s quarters, among other allegations. The duo’s visit to the EFCC did not last long and this emerged especially, the non-academic staff , who protested the immediate release of the two principal officers, calling for the removal of the Vc whose five-year tenure is coming to an end in April next year. Daramola’s travails is coming barely a week after members of the Academic Staff Union of Universities (ASUU), FUTA chapter, accused him of high-handedness, insensitivity and gross misconduct over the sack of 44 staffers of the staff school on January 4, 2016, and also the closure of the school. Three of the unions within the institution, the Non-Academic Staff Union (NASU) Senior Staff Association of Nigerian University (SSANU) and National Association of Academic Technologists (NAAT) decided to down tools, thus grounding all activities within the school. Though the workers had been reporting to the school on a daily basis, it had not been to their various offices. They assemble everyday at the Senate building, vowing not to resume in their offices until the VC was forced out of office. Not satisfied with the outcome of the EFCC invitation, the three unions called a congress where it was agreed that a seven-day protest be embarked upon to press for the VC’s exit. However, the protest took another dimension after one week when all the main gates leading to the institution were removed overnight by unknown people. While the union pointed fingers at the VC and management of the institution over the removal of the gate, the management kept silent over the development. Speaking on the invitation of the two principal officers by EFCC, the institution’s Public Relations Officer, Adebanjo Adegbenro, said that the two officers have no skeleton in their cupboards, and as such there was nothing to worry about. He added that “the VC was not arrested, but invited by the commission to provide information over issues relating to his stewardship as the Chief Executive of the institution. 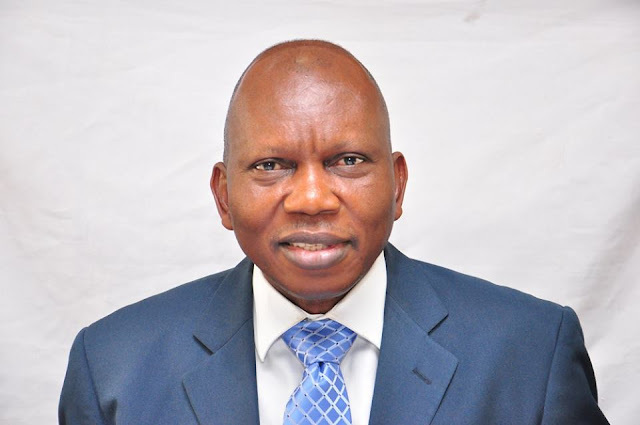 “As part of its statutory responsibilities, the EFCC invited the vice chancellor to provide clarification over issues relating to his stewardship in the university over a period of time. “The vice chancellor duly honoured the invitation and he cooperated with the commission by providing needed clarification. He was allowed to return to Akure the same day,”he said. But this did not placate the adamant workers who marched round the institution, converged on the Senate building every day, and insisted that they would not allow Daramola into the institution. Speaking on behalf of the three unions, the chairman of SSANU, Comrade Dele Durojaiye, said the “protest is premised on the arrest of the vice chancellor by the EFCC. “EFCC arrested him and a majority of the allegations against him are true. So, he cannot be under investigation by EFCC and continue to stay in office using the university resources. He needs to vacate the office pending the investigation and this is why the workers are protesting. “He has been running this university like an emperor and like his personal properties. You can imagine a situation where a government official living in government quarters is still collecting housing allowance. “This VC has travelled more than the president of this country in the last four years. He doesn’t stay on campus We want to put an end to this and that’s why the union in the school said the man must go,” Comrade Durojaiye alleged. However in a move to allow peace to reign on the campus, the management said it would welcome any visitation panel set up by the Federal Government to investigate the allegation of fraud against the VC. Breaking his silence over the strike embarked by the protesting staff, the VC said the industrial action was borne out of failure to embrace reality, explaining that all efforts to find a home-grown solution to the problems were being frustrated by some union members in the university. “The Federal Government brought out a circular. It was actually an old circular brought up as a fresh circular, that come January 2016, the salaries of primary and secondary school teachers in the university system will no longer be part of the personnel grant of the university. The implication of this is that every school will have to stay on its own. Government was only interested in financing the personnel grants of universities alone. “When that circular came early in the year, around April, I went for the end of the year programme of the primary school. and I told the primary school teachers that we received that circular and that they needed to work with their national office to persuade the government to reverse the decision. “At the level of committee of vice chancellors, we also wrote to government, reminding it of the agreements with the unions, especially ASUU, in 2009. In the agreement, there was the clause that government would finance free education for the children of the university staff members. We never got a response from government on that,” Proffessor Daramola explained, the genesis of the crisis. in touch with the university’s Governing Council then, worked out an arrangement to disengage the primary school teachers, privatise the school and ask the teachers to re-apply for their jobs, but that they rebuffed the effort and failed to re-apply. Technically and legally speaking, the agreement to fund the universities’ primary schools, reached with the Academic Staff Union of Universities in 2009, lapsed in 2012 and has not been renewed ever since,” he stated. He also said it was in the process that some of the union leaders petitioned the EFCC, but he was exonerated by the anti-graft body after thorough investigations. He appealed to the workers to back down and allow the ongoing peace moves to prevail, in the interest of innocent university students who are the direct victims of the ongoing strike. Daramola said stakeholders, such as Deji of Akure, Oba Aladetoyin Ogunladebo Akure monarch, the Anglican Bishop of Akure and Pastor Enoch Adeboye of the Redeemed Christian Church of God, had waded in to the crisis to no avail. Mind you, the article you just concluded are not my writing and thoughts but of Nigerian Tribune, whatever your thoughts are, are of your business not mine... I only brought the story you missed to your finger tips.